What do bagels and falafel have in common? According to a Hebrew University of Jerusalem researcher, comparing the histories of these two foods shows us that bagels and falafel have much more in common than meets the eye. On a simple level, says Prof. Shaul Stampfer, both foods are based on a triad of elements (bagels, lox and cream cheese; pita, falafel balls and salad); both started out as street foods; and both are “Jewish” foods but not linked to a religious holiday. But at a deeper level, says Stampfer, the identification of the bagel with American Jewry, and falafel’s similar status among Israeli Jews, teaches us a great deal about the dynamics of migration and changing self-identification of their respective communities. 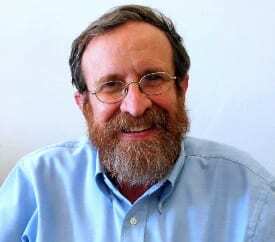 Stampfer is the Rabbi Edward Sandrow Professor of Soviet and East European Jewry, in the Department of the History of the Jewish People at the Hebrew University’s Mandel Institute of Jewish Studies. His research is published in the new book Jews and Their Foodways – Studies in Contemporary Jewry (2015), edited by Anat Helman and published by Oxford University Press. “In both cases,” says Stampfer, “these foods attest to a community’s desire to integrate into the surrounding society, while at the same time maintaining a distinct cultural or ethnic identity.” This was particularly the case with the bagel. The bagel began as a type of small pretzel in Eastern Europe. It put on weight in New York until it was big enough to host a sandwich. It was matched with the newly invented cream cheese (a dairy equivalent of schmalz or rendered chicken fat) and low-cost salted salmon. The combination, with the Yiddish terms (bagel, schmear, lox) evoked ”the old country” and among the children of immigrant Jews, it became a Sunday morning staple. Among evolving nations, and especially among groups of immigrants, there is a need to display and maintain distinctiveness. For this reason, when immigrant communities abandon national traits like language, they can use other identifiers, like iconic foods, to maintain differences. Since such foods can be shared and appreciated by the broader society, they allow group members to maintain a linkage with the past and with each other, without standing apart or closing themselves off to the rest of society. The bagel was particularly useful in this vein because it gave secular Jews a way to identify as Jews without resorting to religious or other identity symbols. As with their counterparts in America, the immigrants to Eretz Israel (pre-state Palestine) came from a variety of locales, with a strong potential for maintaining sub-group identities in their new home. Thus, the adoption of foods that were novel to most Jewish immigrants was part of a process that was strikingly similar to what was going on in the United States. However, while the bagel evokes for many Jews a nostalgia for their Eastern European origins, the process of developing a new Jewish ethnic food was more obvious in Eretz Israel, where a vigorous and conscious effort to create a national identity required the revival of a national language, a national history and, no less, the creation of national foods. Traditional Middle Eastern breads are dipped in sauces or used as a wrap. European baking technology that came to the Middle East in the late nineteenth century made the pocket pita possible. At the same time, inexpensive frying oil became available and a fried croquette that was popular in India was naturalized in the Middle East and given the name ‘falafel’. At this time, the tomato, which had recently been introduced to the Middle East, began to be used for salad. The combination of pocket pita, falafel balls and vegetable salad (with a bit of tahini added) came into being in the twentieth century. Here falafel could fill a dual role. On the one hand (with regard to immigrants from Eastern Europe), it underscored the break between immediate past East European Jewish foods and the new “Oriental” world of Eretz Israel. At the same time, this food could be seen as a link with an (imagined) past. With the falafel, this point was made even more clearly, in the sense that the food was eaten on the street—a clear rejection of European middle-class values that required a formal meal to be eaten in the home. Thus, the falafel was part of a self-conscious effort to create a new ethnic or national identity. Stampfer also points out that another commonality between the two foods: neither the bagel nor the falafel is the traditional food that it appears to be. The bagel with lox and cream cheese is an American invention that looks and sounds like a relic of ‘the old country’ but was never eaten there. Falafel, as it turns out, is no less a modern invention. The pocket pita is not a traditional Arab bread but the product of European technology; falafel is a modern product that was probably imported from India; and even the tomatoes in the salad are a vegetable new to the Middle East.